As part of their #MakeImpactGreat movement, Impact Wrestling has announced the addition of Rachael Ellering to their Knockouts division. 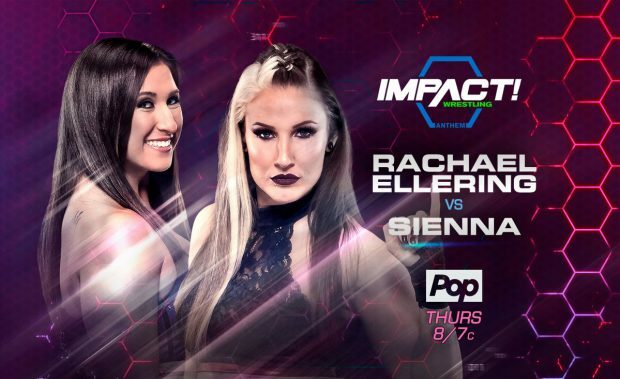 In her debut match on Impact this week, Rachael will take on former Knockouts Champion Sienna. ImpactWrestling.com also touches what’s in store next for Braxton Sutter and Allie this week, following their much talked about wrestling wedding segment. What are your thoughts on the Rachael Ellering joining the Impact roster? Excited to see more of Braxton and Allie? Who else would you like to see join Impact Wrestling? Let us know in the comments below! It appears that Ring of Honor's Karen Q and Mae Young Classic Tournament standout Rachael Ellering are on their way to Orlando.